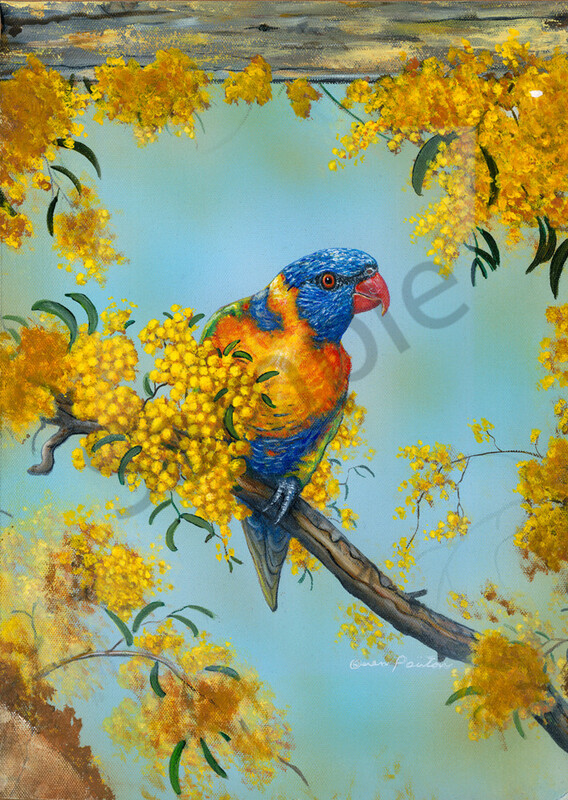 Rainbow Lorikeet in the Wattle Tree. The rainbow lorikeet is unmistakable with it's bright red beak and colourful plumage. Both sexes look alike with a blue head and belly. The Rainbow Lorikeet is common along the eastern seaboard, from northern Queensland to South Australia and Tasmania. They frequent our back yard which inspired me to paint these birds.